Laucala Island ooze’s raw natural beauty. Set amidst coconut plantations, sandy beaches, turquoise lagoons and rich green mountains, it is as close to perfect as it gets! Laucala Private Island offers guests unparalleled levels of luxury and privacy. Set over 3,500 exclusive acres Laucala is your own piece of Fijian paradise. A private island sanctuary in the South Pacific, Laucala is formed of dramatic volcanic mountains which frame the kaleidoscopic coral reefs in the waters below. Sugary white sand beaches are fringed by tall swaying palm trees and much of the island is covered in lush jungle. Each of the 25 Fijian style villas have been carefully built using sustainable fibres and wood. The island is also fully self sufficient and guests are treated to organic produce which is grown on the island farm. There is also a range of restaurants and bars on the island for guests to enjoy. Romantic candlelight dinners on the private beach, fine dining in the Plantation House Restaurant, authentic Asian delicacies in the Seagrass Restaurant, spectacular sundown cocktails in the Rock Lounge, avant-garde finger food at the Pool Bar and barbecues at the Beach Bar all capture the tropical atmosphere and provide a broad variety of culinary rarities that fulfil every wish. A superbly stocked wine cellar on property acts as a treasure trove for the most discerning of palates.  Oxford Private Travel provide an unparalleled offering of private island holidays. The resort’s 25 villas are comprised of one-, two- and three-bedroom configurations, and each features its own pool, lush tropical garden and spacious indoor and outdoor areas. Each villa comes with all food and beverage services included, chauffeur, nanny, housekeeping, Tao service, laundry and dry cleaning and both welcome and farewell gifts. Laucala Island is located in the South Pacific in the archipelago of Fiji Islands. Guest will reach Laucala by private charter. Departures are from Nadi International Airport and take just 50 minutes. Guests can additionally enjoy sports and activities, golf, tennis, horseback riding, land and water packages and diving at the all-inclusive villa price.